Ann Arundell was born in Yorkshire, a county with great traditional ties to the textile industry. Ann, at the age of three, was taught how to knit and crotchet by her grandmother. It was during Ann’s formative years that she learnt the necessary discipline and attention to detail required to design and produce fine quality knitwear garments. As an oil painter and animal lover, Ann combined both these interests by painting animals and local landscapes at her rural home setting at the foot of the Lincolnshire Wolds. Ann developed these interests into her other passions, knitting and fashion; this is when Ann produced her first animal sweaters. The sweaters, made from fine mohair, were unique, a work of art transferred from one medium to another. Ann’s natural flare for fashion and desire for the use of high quality sustainable fabrics and yarns led her to design many highly successful collections. Notably, Ann’s collections have sold in Harrods and niche boutiques across the world including outlets in London, Paris, Milan and the United States. 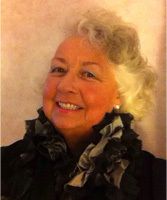 Ann has been approached by established fashion houses and has designed collections for Burberry, Pringle and Red or Dead. The collections received positive attention from the UK national press and Ann’s garments have been and continue to be proudly adored by UK and international celebrities and the general public alike. Ann is keen to develop her family business further. As well as producing long established garment favourites for her loyal customers. 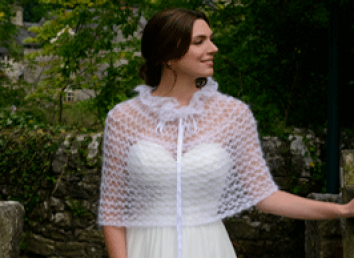 This year, 2015, Ann is proud and excited to produce a further knitwear collection, as well as designing and producing a new bridal collection, all hand knitted in beautiful ivory and white mohair. 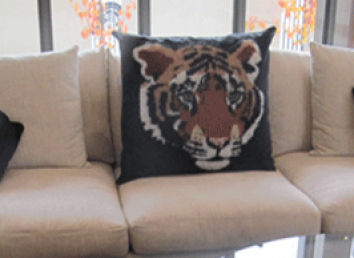 Ann is also producing a range of soft furnishing products based upon her successful animal sweater designs. While involved in the fashion industry for over 30 years, Ann still holds close the principals she first believed in when she first started in the fashion industry – clothes should be worn for style and comfort which can be worn for all occasions.